China�s rise casts a vast and uncertain shadow over the regional balance of power in the Asia Pacific, and nowhere is this clearer than in the South China Sea. The significance of the fraught territorial disputes in this potentially resource-rich sea extends far beyond the small groupings of islands that are at their heart, and into the world of great-power politics. As the struggle for hegemony between the US and China intersects with the overlapping aspirations of emerging, smaller nations, the risk of escalation to regional conflict is real. 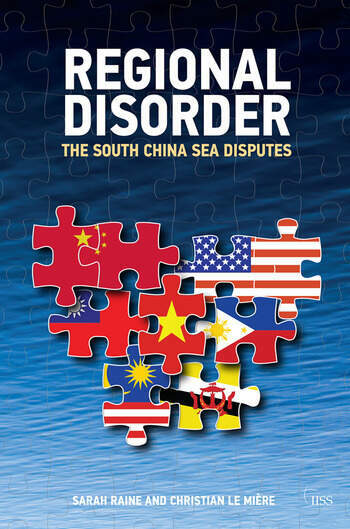 Christian Le Mi� and Sarah Raine cut through the complexities of these disputes with a clear-sighted, and much-needed, analysis of the assorted strategies deployed in support of the multiple and competing claims in the SCS. They make a compelling case that the course of these disputes will determine whether the regional order in Southeast Asia is one of cooperation, or one of competition and even conflict.